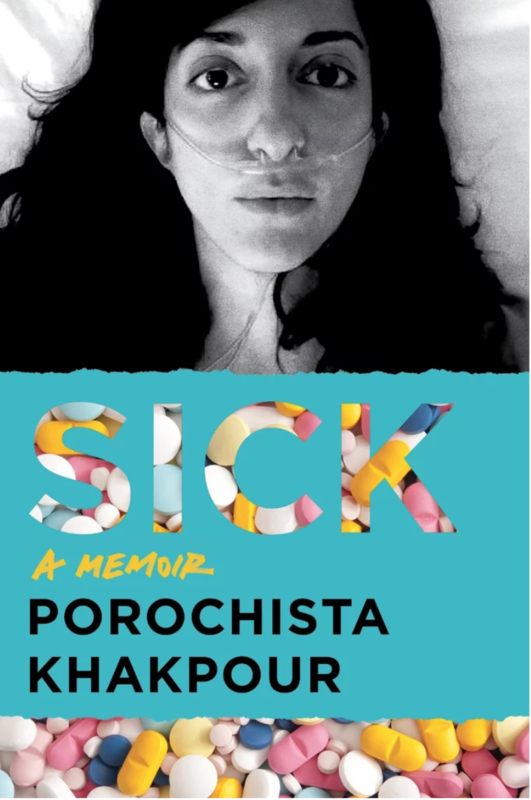 In an excerpt from her memoir, Porochista Khakpour recalls fashioning herself after her artist aunt’s example. Ever since I can remember, I dreamed of escaping. Escaping what was always the question, but my life had been one of escape since I was born — revolution and war sent us through Asia and Europe and eventually to America. We were in exile, my parents always reminded me, we had escaped. It was temporary. But escape was also something I longed for in eighties Southern California, which constantly felt foreign to me, a place of temporary settling but no home. Everything was tan in a way my brown skin could not compete with. Everything was blond in a way my bottle-blond mother could not recreate, gilt upon gold upon gilt. Everything was carefree and smiles, gloss and glitter, and money to no end. We, meanwhile, were poor and anxious and alone. When my brother was born in our neighboring city Arcadia, California, in 1983, I watched his pink squirming body stowed into a giant felt red heart — it was Valentine’s Day — and even stuffed in all that makeshift American affection I thought he didn’t have a chance. None of us did. As the tremors continued, as my body somehow grew smaller rather than larger — my mother always quick to slap my hand when I reached for the leftover cake batter the way sitcom kids did, her ritual baking more American obligation than motherly delight — I also began feeling a need to escape the body. All my few friends got their periods before they were teenagers, but mine waited deep into my first teenage year, on the brink of fourteen, like an afterthought. Everything about my body felt wrong to me, especially as California went from the eighties to the nineties, and I knew escape would have to be a real revolution of presence. My mind always went to literal distance, eyes on the globe landing without fail on New York. It’s hard to know if all the movies of the era did it, Fame and its many knockoffs, Annie and all the stories of rags-to-riches miracles in Manhattan, told me New York was the motherland for misfit creatives to thrive, for foreigners with big dreams, for girl authors. But I think where it really came from was my aunt Simin, who was the only living role model I ever had. My mother’s world, as it sought to merge with the average American woman’s more and more, spoke to me less and less — I found myself cooling from her endless mall outings, Estée Lauder free gifts, diet everything, soap operas, and department store catalogues. Instead my eyes went to my father’s sister. Simin was not only the first model of a woman I could aspire to, but also my first example of an artist, a New Yorker, and ultimately a sick person. My father’s three sisters were all supermodel-tall and bone-thin and prone to throwing on amazing mod dresses and thick black eyeliner with a messy casualness, like the heroines of old French cinema classics, all vaguely tragic and uncontainable and iconoclastic. I loved Simin the most, her skeletal frame always bearing the strangest clothes hung like modern art, grays and metallic and blacks and whites, thoroughly avant-garde. Her dyed long copper hair was witchy and perpetually bed-headed. Her face was all bones and lines and perfectly crowned the whole look, always a bit haunted but in this punk, high-art way that I did not have the words for then but could now describe as New York. She was an artist and spent half her time in New York and half her time in Paris, where her artist husband and grown son lived. She loved me so much, and she was someone who always pored over my drawings and paintings and encouraged me to pursue visual arts, which was the one vocation competing against writing for me, but ultimately one that I did not have as much talent in. Still, she told my parents I should put my art on postcards and pass them out, always giving me confidence at the most unexpected moments. At my most awkward phase, early teens, she announced out of nowhere at a family gathering that I had the “perfect profile” and she’d like to draw it. (She never did.) Like me she seemed to hate our extended family gatherings, and more than once the two of us would stay in the car for hours while my family attended some function. It was there that she told me stories about New York City, how she lived in an apartment in a big building, with a view of Fifth Avenue — I remember her telling me how she saw Princess Di in some procession out her window. She had so many stories about the art galleries and boutiques. She once advised me that the way to deter crazy people on the street in New York was to act crazier yourself, advice I never forgot and still use on occasion. She told me one day we’d be in New York and do it all together, and I imagined her as my first roommate, I as her apprentice, going to art parties and gallery openings, sharing chic little meals together, never sleeping. Escape was something I longed for in eighties Southern California, which constantly felt foreign to me, a place of temporary settling but no home. It never happened because on one of her many visits, this time when I was sixteen and was just two years from moving to NYC, she had a persistent cold and visited a doctor, and it suddenly turned out she had terminal brain cancer and had only months to live. Within weeks she ended up in a nursing home near my high school. I never once visited her, haunted so much by stories of my parents’ visits, where she would spin paranoid tales and would be lost in hallucinations and nonsense plots, as her brain deteriorated at an alarming rate and eventually killed her. I refused to believe we’d lose her, but she was gone just like that. For years, I was left with these memories of her, and I wondered how long she’d been ill. She was emaciated in a way I admired. She barely ever raised her voice above a whisper, which seemed elegant of her. There was always something a bit psychologically off with her, which I related to. Her fragility was almost a look for her. And all those years alone, away from her Parisian family — what did her life look like? There began my fear of the woman artist alone in New York, who lives a wild and unconventional life only to succumb to the most standard and conventional institution of all: death. Premature fatal illness getting in the way of not just the accumulation of your years — aging never had much allure for me until later — but getting in the way of your artistic endeavors suddenly felt like a huge threat to me. myself in, but I began praying I lived to achieve a few dreams at least, premature death and illness suddenly feeling like contenders in the many things from terrorist attacks to earthquakes to serial killers that could get me. I never imagined a tick-borne illness on that list. Plus, it would only be a matter of time until I’d set about destroying my body in other ways. I felt more dedicated than ever to making New York my home, and indeed when it came time for colleges, all but the few obligatory California state schools were on the East Coast, and if not directly in New York like Columbia and NYU, then close like Brown. In the end, the school I chose — that chose me — was a surprising one: Sarah Lawrence College. I only knew a few things about it. One was that its pamphlet in the mail had announced iconoclasm was deep in its culture: You Are Different. So Are We. I also knew that it had a creative writing program, and that ensured I could be in those magical-sounding writing labs called “workshops.” And finally, I knew that it was known for its lesbians — I remember one of my first female crushes, a beautiful Middle Eastern punk girl named Kara who was the star of our school’s jazz band, once mentioned wanting to go to “Sarah Lesbian College.” There was much of sexuality I felt I needed to at least have the option to explore outside of the supervision of my parents. Westchester County, New York: Sarah Lawrence College in green suburban Bronxville. Even though the student body was made up of about one-third boys, it was still the typical rich girl’s liberal arts college. I was the only scholarship kid I knew for a while and too many students felt okay to tell me their dads paid for me to go there. I had never even spent the night at a friend’s house — slumber parties were not allowed back home, just like teen magazines, makeup, and dates of course — and suddenly I was going to be on my own twenty minutes outside the city I always dreamed of living in. Part of it was not knowing what to expect; part of it was that very actualizing of the fantasy, the New York girl I had fantasized about being. In my first week there I marched to the college bookstore, knowing that you could charge all sorts of things to your parents’ account and it would all come up as “bookstore,” and I purchased a full carton of Marlboro Reds. As I child I’d watch old movies and pose with crayon cigarettes in front of the mirror, always looking forward to a day when I could become an actual smoker; my first crush was the Marlboro Man and I imagined sharing drags with him somewhere on a horse in Malboro Country. So here I was now, with my own cigarettes and no one to disapprove, as it seemed the whole campus smoked in 1996. I took them to my dorm room and spent hours practicing in front of a mirror, smoking a quarter of a pack a day to ensure I’d be addicted in no time. And I achieved just that — this would be an addiction that would plague me for over half my life. It would also be an affliction I brought onto myself that every doctor later in my life would note as a serious disadvantage in battling chronic illness, the body ultimately unforgiving of that vice, they warned. Suddenly I looked sick — looked like we all did, as heroin chic had taken ahold of the nineties. To look just barely on the wrong side of life and the right side of death was a desirable thing, my friends seemed to agree. I brought a wardrobe of all black and it only grew — it was the nineties and black on a scrawny girl like me meant instant fashion and art. I couldn’t understand the Sarah Lawrence girls at first — too many were from the Midwest and South, regions that did not make sense to me at that point, and so I spent almost all my time in the city. I’d often miss the last 1:30 a.m.train back to Bronxville just so I’d be forced to stay out all night in New York City. And there I was at semisweet eighteen, the girl in the neo–Malcolm X glasses and black turtleneck writing in East Village twenty-four-hour cafés all night, who subsisted on coffee and cigarettes and bagels, who had friends who were downtown artists and poets and writers. Soon I knew where to drink without being carded, and soon I was the girl drunk for the first time in her life, on St. Mark’s Place, vomiting on the sidewalk, not a single gutter punk or club kid blinking an eye. (I’m soooooo happy right now, I remember slurring into my friend’s arms, who had tried to stop me until she realized my whole point was to get out-of-control drunk that first time I properly drank, trying every single mixed drink on the menu of the cheap café.) Suddenly I was the girl at every reading at St. Mark’s Poetry Project and the Nuyorican Poets Café, dragging notebook papers full of poem I’d never read but wanted to baptize in good creative energy by carrying them in those spaces. Suddenly I was the girl who was going to clubs alone, who’d only return to campus to sleep away a few remaining daylight hours. Suddenly I was the girl with New York City boyfriends; suddenly I was the girl making out with girls casually as if it was nothing to me, at good old Sarah Lesbian College. person I knew. It was hard to resist. The girl I’d imagined, the one who smoked cigarettes and wore all black, and went to poetry readings and puked on St. Mark’s, was of course a girl who dabbled in drugs. From the book: SICK by Porochista Khakpour. Copyright © 2018 by Porochista Khakpour. Reprinted courtesy of Harper Perennial, an imprint of HarperCollins Publishers.